Beloved brother and uncle passed away Monday, July 25, 2016 at Healthsource Saginaw. Age 84 years. The son of the late Vincent and Mary (Borowicz) Zientek, Eugene was born on November 28, 1931 in Saginaw, Michigan. He was a 1949 graduate of St. Andrew High School. Eugene proudly served in the United States Army during the Korean Conflict and was a member of the National American Legion. He was employed by Great Lakes Trucking for 22 years, worked as a real estate agent and finally retired from the Mail Room Service Center in 2013. Geno was an avid bowler. He coached children’s bowling leagues for many years. Bowling was his passion. The last year he bowled was 2015 on Tuesday Senior League at Crooked Creek and Friday Senior League at The Family Bowl. The family would like to thank the members of the league for their patience which allowed Geno to bowl that final year. To his Friday bowling team, Ernie, Bill and John (RIP), a special thank you for allowing him to participate as a member of your team. You will never know how much it meant to Geno and to us. Geno was also very active with the Falcons Nest #124 in Saginaw for many years. Surviving are two sisters, Theresa (Peter) Wujkowski, Saginaw; Ann (Richard) Blazejewski, Saginaw; nieces and nephews, Catherine (Tom) Kolpacki, Brighton; Joseph Wujkowski, Grand Rapids; Peter John (Jodi) Wujkowski, Dewitt; Patrick (Marcy) Wujkowski, Schoolcraft; Mary (Louie) McKaig, Heartland; Thomas (Toya) Wujkowski, Oakland, Utah; many great-nieces and great-nephews. 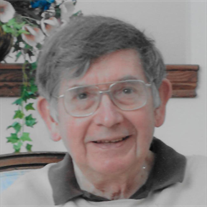 During the last two years of his life, Geno lived at New Hope Valley Assisted Living. He considered it his home. The family would like to thank the staff of New Hope Valley and also to HealthSource Saginaw for all of the love, compassionate care and support during that time. We will never forget you. Funeral Liturgy will take place 11:00 a.m. on Friday, July 29, 2016 at Holy Spirit Catholic Church. Rev. Fr. Peter Gaspeny will officiate with military honors presented by American Legion Post #439. Honoring Eugene’s wishes, cremation will follow. Friends may call at The Snow Funeral Home, 3775 N. Center Rd., (between Shattuck and McCarty), where the family will be present on Thursday from 2:00 p.m. until 8:00 p.m. and at Holy Spirit Catholic Church on Friday from 10:00 a.m. until time of Mass. A prayer service and a time to share memories will take place at 7:00 p.m. on Thursday at the funeral home. In lieu of flowers, those planning an expression of sympathy may wish to consider memorials to Holy Spirit Catholic Church.